Make sure you already have configured your gateway and an application was created. If you need help to do that, take a look at this video tutorial . 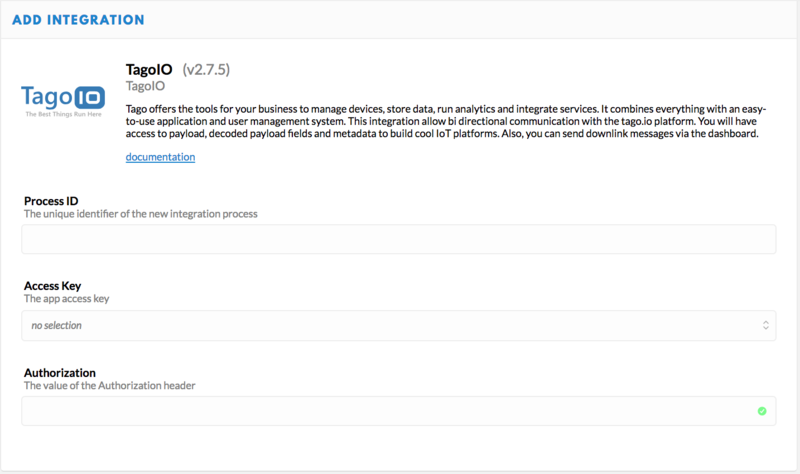 On the TTN console, go to your already created application, and then go to integrations and click add integration. 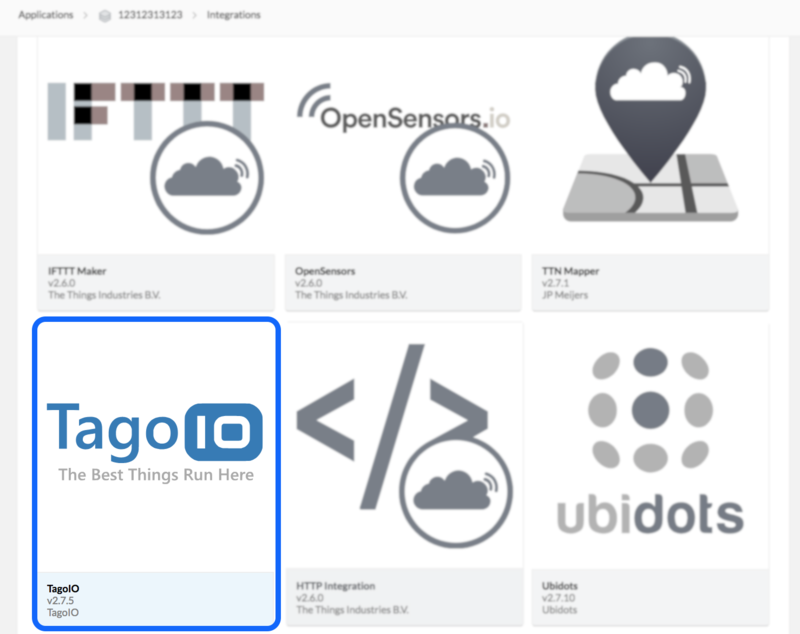 Select TagoIO from the integration list. Here you fill in your Process ID, your access key and the Authorization. For your application to authenticate to TagoIO, you need to register your device at TagoIO. 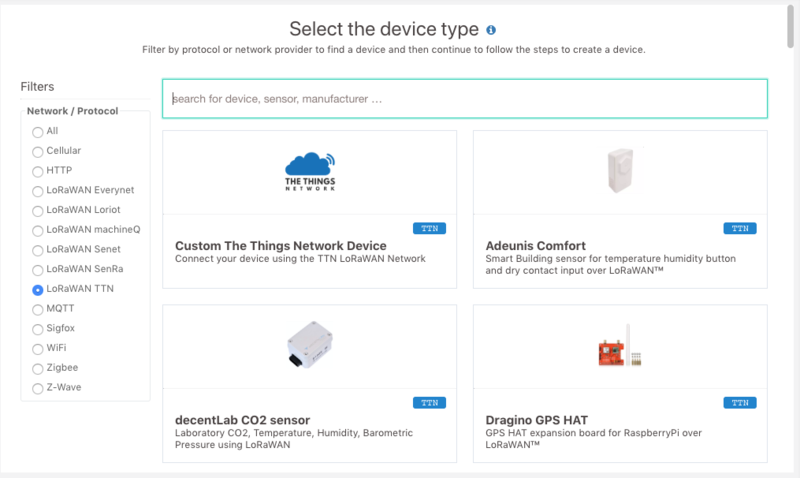 Go to the Tago admin, then go to Device, add a Device, and select the type: LoRaWAN TTN. 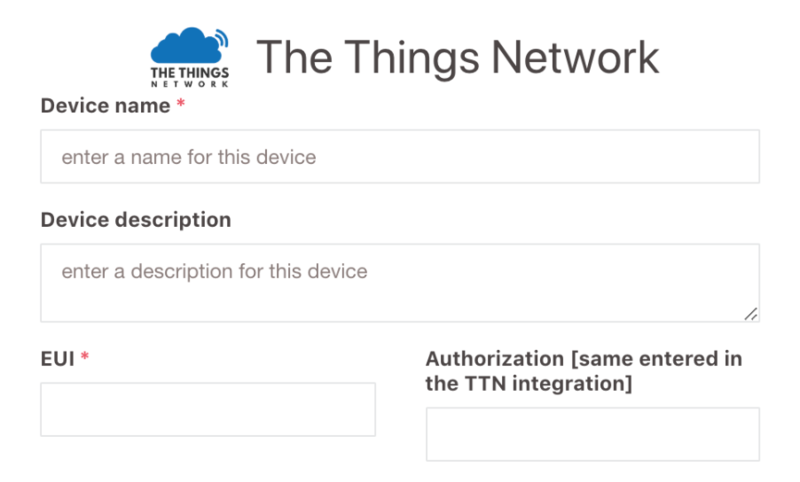 Look for you specific device in the list, if it is not listed, you still can connect using the Custom TTN Device. For example, if you selected the 'Custom TTN Device' type, you will be presented with the following screen. Enter a Device Name and the Device EUI in the required fields. If you use the Authorization when doing the setup at the TTN, type the same secret text in the Authorization field here. When your device sends data to TTN, a data package will be forwarded to TagoIO. To send data back to your device, just go to the device list, select the device, and go to the Configuration Parameters tab. Here you can use two parameters for different data format. It will send the raw payload to your device. the payload fields value needs to be a valid JSON Object, and TagoIO will send that object to your device. You can choose between these two data formats, or you can send both. When your data is sent to TTN and scheduled to send to your device, your parameter will be marked as sent (Yes). To send the message again, set the switch to as not sent (No).